We take a look at some of the most prevalent predictions for the future. What will 2112 bring? Each and every new year we encourage each other to look ahead to years to come and predict what they will bring. In this article we will speculate on twenty common predictions for the year 2112 including: the increased use of nanorobots, an increased acceptance of gay marriage, the end of the world and an advance of solar technology. 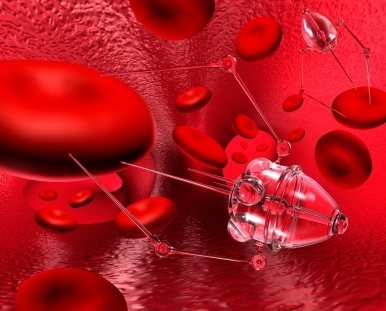 More people than ever believe that by 2112 we will be utilizing nanorobots for many more medical procedures than we are now. The average estimate is that 80% of the civilized world will be accepting of gay marriage although it is an issue that many areas of the world struggle with today. It never fails that regardless of what year we are talking about there is a prediction about the end of the world and 2112 seems to be no different. Although we are currently able to harness solar energy to power entire houses, the technology to do so is large and not particularly cost friendly. Many estimate that by 2112 most houses will be utilizing small solar panels to power their homes completely. Changes to the healthcare system are already underway but just how far they will go and what direction they will go in is still up for debate. One thing remains certain however, there will be some amazing changes to the current health care system, at least within the United States. Cloning may be something of a taboo topic but as medical fields advance cloning technology to seek out cures for malformations and devastating diseases, the possibility of acceptance of cloning in the medical field is increasing. There are many who believe that 2112 will bring an increase in the average human lifespan. This increase will more than likely come from changes in healthcare, treatment of illnesses and the ability to grow human organs in a laboratory setting. The cost of food production will be cut sharply as the food we eat becomes increasingly artificially produced. While it is not expected that this genetically modified food will eliminate the demand for traditional food it will drive up its price. 9. Petroleum Will No longer be depended upon as a Major Source of Energy Due to Incredible Price Hikes. 10. An Increase in the Effects of Climate Change on the Planet. For years we have been talking about the effects of climate change on the planet and as such it shouldn’t be a surprise that this is still expected to be an issue in the year 2112. Just how much of an issue it will be is hard to predict as it depends upon our current level of eco-awareness. 11. Financial Transactions will be dependent upon Plastic Rather than Currency. This prediction is not too surprising since it is something that has already begun in today’s day and age. It is predicted however that by 2112 the use of plastic will completely eliminate the need or desire to utilize currency and as such currency will be phased out. Just how accurate this prediction is there is no telling. The changes that our planet’s face undergoes can be sudden and unexpected but there are many who believe that by 2112 certain areas of the world will be completely submerged. 13. Asian Languages will become the Most Prevalent Languages of the World. As more and more of our business is outsourced to Asian companies and as more and more technology is being created in Asian countries there is a strong likelihood that at least the business world will require fluency in at least one Asian language. 14. We Move closer to Inhabiting the Moon. There are many who believe that by the year 2112 we will be living on the moon, although the more conservative of you believe that we will be on our way there! With new astronomical discoveries coming with relative frequency there are many who believe that a new and habitable planet will be discovered by the year 2112. It is more likely however, that another planet will be discovered – whether or not it is habitable is up in the air. Much like the 1980’s brought ideas of flying cars to this century, there are those who believe that 2112 will bring unmanned cars to the forefront. Our effects upon the oceans of the world are already more than noticeable and there is little hope that overfishing, hunting and pollution will slow down to any significant degree by 2112. 18. Humans will have the Ability to Control the Weather. There has, for a long time been a fascination with man being able to control the weather and many believe that the year 2112 will bring that ability to the forefront. 19. An Increase in the Use of Artificial Insemination. There are a number of theories behind the increased prevalence of artificial insemination but one of the most prevalent is the later age at which people are having children. As the age of conception increases the need for fertility assistance also increases and it is believed that as our health care options progress we will be living for much longer and consequently pushing back the age of conception. 20. Nuclear fusion will no longer be a mystery. It is believed by most that by 2112 not only will we have decoded nuclear fusion but we will have had a good sixty years to master it as well.